Starhotels Anderson in Milan is a landmark in the Italian fashion industry, located in the bustling centre near the Stazione Centrale. Entering the lobby, soft lighting lures the imagination into ambiences previously unseen, with the subtle contrast between red and black welcoming each guest individually into the space. 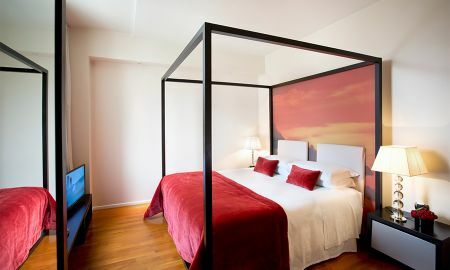 From the lifts decorated with impressive blown-up photographs to the lounge and its cozy, metropolitan atmosphere, Milan has never seemed so accessible. 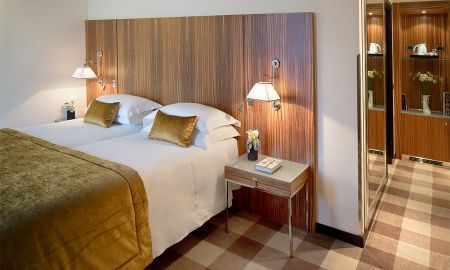 A night’s stay in this luxury hotel is an invitation to enjoy the sweet respite from everyday life with this finely fashioned location, including the famous Navigli Canals. Featuring 106 contemporary rooms and suites, 4 conference rooms for up to 70 people, and a fitness room open 24 hours a day, the amenities here are nothing short of spectacularly convenient. The Black restaurant offers excellent international cuisine and typical Italian dishes. The Lounge Bar is open every day until midnight. 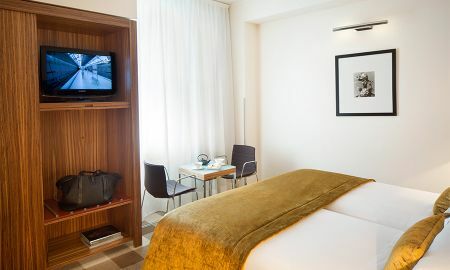 The Starhotels Anderson hotel is conveniently located in downtown Milan, directly opposite the Central Railway Station, a key hub for city services and Milan’s shopping areas, as well as the main junction for High Speed rail. From here, you can also reach the city’s historic center and the Galleria Vittorio Emanuele by the Subway.